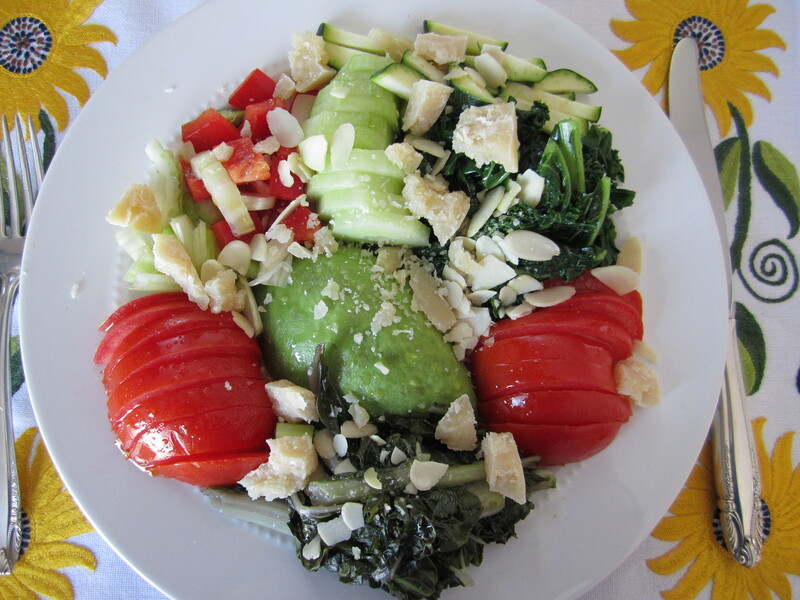 While my husband had his “Green it is” plate I had mine but I added tomatoes and red peppers to the blanched kale, steamed green Swiss chard, celery, avocado, zucchini and cucumbers. 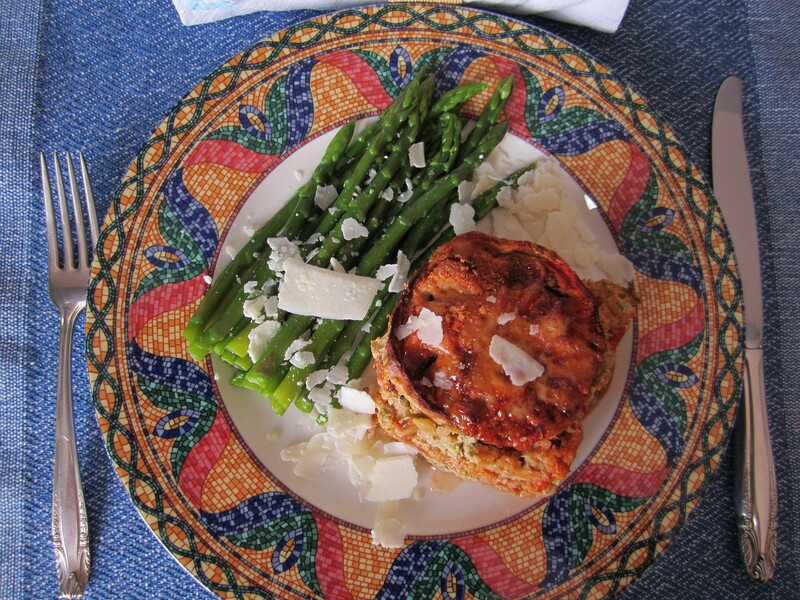 The chunks of Parmesan cheese and the sliced raw almonds give it a fabulous combination of flavors. As always, olive oil, apple cider vinegar, and salt & pepper to taste. My husband’s vegetable plate tends to be very green. He is very particular about tomatoes, and he definitely does not like red peppers unless they are roasted. 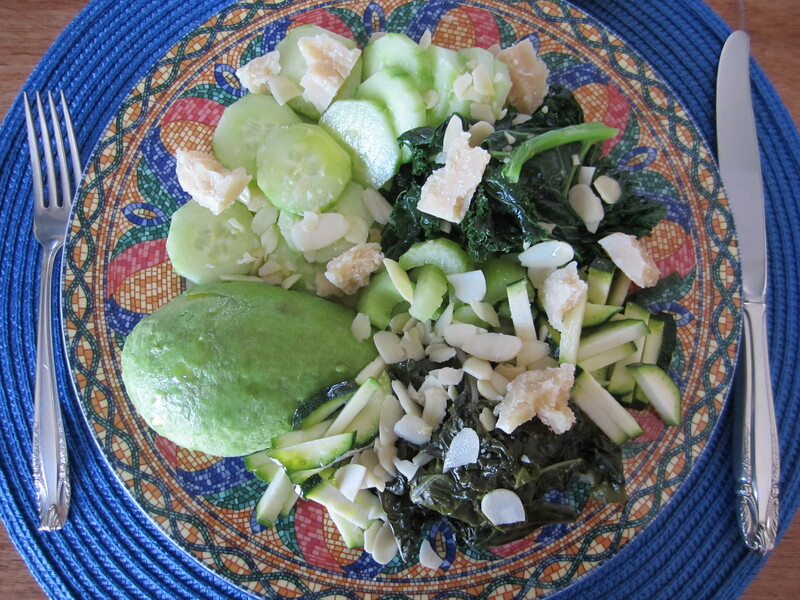 So here is his regular combination: blanched kale, steamed green Swiss chard, avocadoes, zucchini, celery and cucumbers, with chucks of Parmesan cheese and sliced raw almonds. Of course, olive oil, apple cider vinegar and salt & pepper to taste. He absolutely loves it!